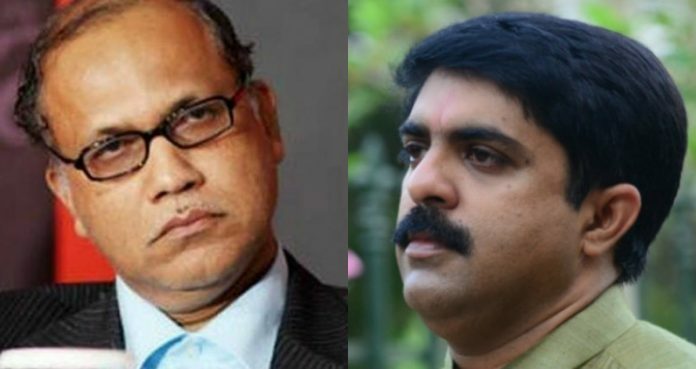 It looks like the mining issue is becoming instrumental in getting the Digambar Kamat and Vijai Sardesai, the political arch-rival, together on a single platform. The unanimous decision of both the leaders on the mining issue has amounted to generate speculations amongst the people that Congress and Goa Forward may go hand in hand on the issues concerning the people of Goa. According to the sources, the mining-dependent have finally deiced to come to Panaji to get their voice heard by the lawmakers. More than 2000 mining dependent gathered at Azad Maidan demanding the early resumption of the mining activity in Goa. The rally was addressed by the Congress leaders Mr. Babu Kavlekar along with the Margao MLA and former CM of Goa, Mr. Digambar Kamat. The Congress leaders have assured the mining-dependent complete support of the Congress party. Mr. Kavlekar had told the mining-dependent that his party will write a letter to Governor requesting for a one-day special assembly session to solve the issue of mining dependents in Goa. On the other end, the Goa Forward Party Leader, Mr. Vijai Sardesai was seen addressing the mining-dependent rally in Panaji and he assured his complete support to them by way of bringing an ordinance which will help the mining resumption in Goa. When media asked Sardesai if he will also come out of the alliance if the mining issue is not solved, he said that if his exit helps to solve the problems of mining dependent than he will surely do that. Mr. Sardesai also assured the mining-dependent that he will take up the matter with the South Goa MP Mr. Savaikar to take up the issue of mining dependent with the center. Earlier MGP party president had threatened the BJP of walking out of the alliance along with their three MLAs if the mining did not get resumed by 15th December. Now the scenario is such that all the political parties except BJP have come out in the support of mining dependent. Although BJP party president had assured that there will be some solution for this issue but did not come out aggressively in the favor of lifting the mining ban. The GFP leader is not in favour of walking out of the government cause according to him, leaving the coalition government will not solve the problem of mining dependent. “I am ready to support the mining-dependent and my full support will always be there with them, but coming out of the government by withdrawing our support will not solve the issue,” he said. According to the sources, waiting till 15th of December is the temporary solution and it may not be worth, but at the same time there is hardly much can be done as the CM is not well and the center is busy preparing the strategy for the for the forthcoming elections. What is your opinion? Will the government collapse if mining did not resume? Who will withdraw the support, in reality, GFP or MGP? Please share your valuable comments on this issue.